‘Out Of The Wild’ movie to be released December 5th. OUT OF THE WILD is the story of Henry McBride, a down and out cowboy with a painful past he can’t drink away. Living on his last dollar with nowhere to go, he ends up working the last place an old cowboy wants to be: A dude ranch. It is here he meets the owner, Jessie King, a no-nonsense rancher with a deep love for horses. McBride’s self-discovery begins when she introduces him to a new way of training a troubled mustang, a horse whose past and temperament mirror his own. The film is based on the life of Mark Rashid, world-renowned horseman and writer of both the novel and screenplay for Out of the Wild. Mark’s approach to training horses is rooted in a deep understanding of the bond between man and horse, as well as a distinct softness with which he treats each animal he encounters. 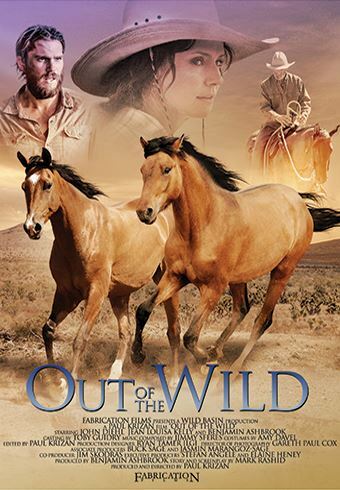 Click to view the Out Of The Wild film trailerand ORDER your copy of Out Of The Wild. For more information about Mark Rashid books (mostly 5 star rated on Amazon) click here! NW Equine ‘Out Of The Wild’ website links.